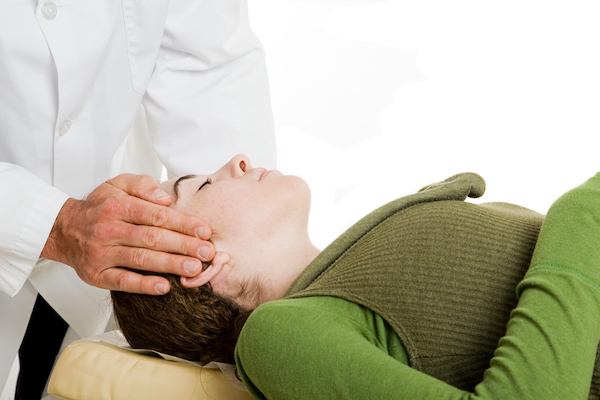 Craniosacral Therapy is a non-invasive modality that uses a very light touch to find and release restrictions within and around the nervous system (brain and spinal cord). The Central Nervous System (CNS) controls the function of all other body systems including the Endocrine, Respiratory, Circulatory, Skeletal, Muscular, Organs, Lymphatic and Immune System, etc. By releasing these restrictions the CNS is able to function more optimally. Your craniosacral therapist will make gentle contact with one or more areas of the body to feel how the nervous system is expressing movement. This movement can be expressed in flexion and extension of paired bones (for example, the pelvic bones), expansion and contraction of muscles, tissues, and organs, as well as the fluid movement of the Cerebral Spinal Fluid (CSF), which ideally travels in a tidal movement along the spinal cord and around the brain. In doing so, Cathy observes the symmetry, quality, rate and amplitude of said movements. She will consider: Is there movement? Is this movement fluid and easy, or is it stiff, rigid, or compromised in any way?” Once she develops a sense what is happening in the body she can then help it to reorient back to its original state of symmetry, balance, and health.